Update 4:45 p.m. Friday March 14 with information on the Navy adding resources in the search. The two San Diego-based warships searching for a Malaysian Airlines Boeing 777 in the waters off Southeast Asia have been on the move, including one headed to the latest search zone. The Navy Times said the USS Kidd was leaving the Gulf of Thailand for the Strait of Malacca, a shallow, 500-mile stretch of water between the Malay Peninsula and Sumatra. The guided-missile destroyer arrived in the northwestern part of the strait Friday. As of yet, no details of its search for the missing plane were available, said Lt. David Levy of the Navy’s Seventh Fleet. Levy said the search will be beefed up Saturday with the arrival of a long-range reconnaissance aircraft, joining a Navy plane already hunting for Flight 370, which disappeared Saturday. The flight disappeared Saturday, triggering multiple investigations by several nations, including China and the United States. Conflicting information also contributed to confusion over the baffling disappearance. Other searches were taking place in the Indian Ocean, based on data picked up from the airliner four or five hours after the last transponder signal was received. Flight 370 went missing about one hour into transit from Kuala Lumpur to Beijing. The jumbo jet carried 239 passengers, most of them Chinese. 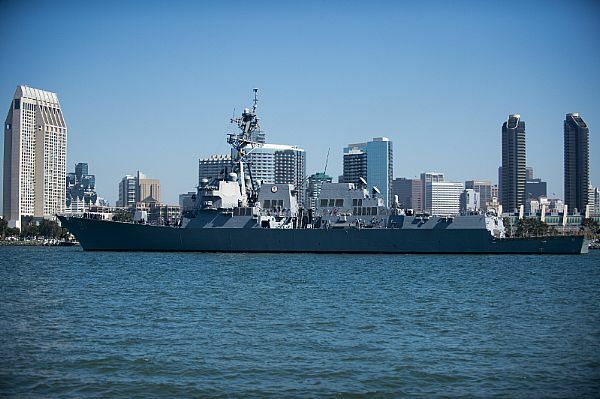 While the Kidd arrived at the new search area, the USS Pinckney headed to Singapore for scheduled repairs, the Navy Times reported, citing a Seventh Fleet spokesman. 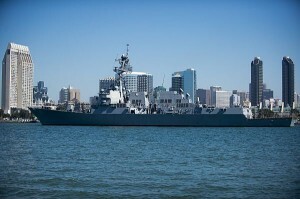 The destroyers, which each carry a crew of about 300, deployed from San Diego on Jan. 7.